I feel like a lot is going over my head right here. For one thing, it doesn’t really seem like they want to dig into the issue of divorce as much as they are trying to trap Jesus or prove somehow that he doesn’t understand anything. But either way, we are taught them as if they were specific commandments, as opposed to a sharp answer to a snarky question. 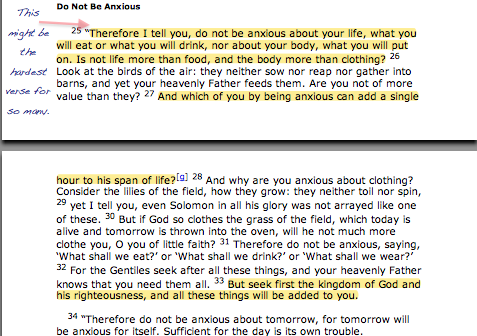 People seem to always be using these verses to trap people. If it’s not prove that divorce is always wrong, it’s to find a loop-hole out of marriage. Here it seems Jesus would only allow for sexual immorality to come between a man and wife and bring about a permanent end to their marriage. But what about physical abuse? Is that because at the time a woman was considered property? And what’s all this business at the end about the eunuchs? 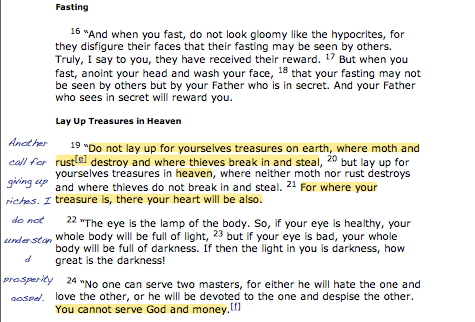 I read this article about this portion of Matthew 19. If you are interested, I’d highly suggest it. To be honest, I only skimmed it (therefore, there might be parts that I don’t actually agree with/endorse), but my favorite part is that it shows that Jesus was an expert in the law, even though it seems he never sat down and had a thorough education as the rest of the pharisees must have. They kept trying to give Jesus these hard trick questions that only an expert would understand, but he always does, AND he shoes that they are missing the point again and again. My point: if Jesus was a real person, and he knew all this stuff, it’s really a miracle in itself how SMART and EDUCATED he was. 13 Then children were brought to him that he might lay his hands on them and pray. The disciples rebuked the people, 14 but Jesus said, “Let the little children come to me and do not hinder them, for to such belongs the kingdom of heaven.” 15 And he laid his hands on them and went away. 1) Why were they bringing children to him? What was the goal here? and 2) Why were the disciples so pissed about it? 16 And behold, a man came up to him, saying, “Teacher, what good deed must I do to have eternal life?” 17 And he said to him, “Why do you ask me about what is good? There is only one who is good. If you would enter life, keep the commandments.” 18 He said to him, “Which ones?” And Jesus said, “You shall not murder, You shall not commit adultery, You shall not steal, You shall not bear false witness, 19 Honor your father and mother, and, You shall love your neighbor as yourself.” 20 The young man said to him, “All these I have kept. What do I still lack?” 21 Jesus said to him, “If you would be perfect, go, sell what you possess and give to the poor, and you will have treasure in heaven; and come, follow me.” 22 When the young man heard this he went away sorrowful, for he had great possessions. 23 And Jesus said to his disciples, “Truly, I say to you, only with difficulty will a rich person enter the kingdom of heaven. 24 Again I tell you, it is easier for a camel to go through the eye of a needle than for a rich person to enter the kingdom of God.” 25 When the disciples heard this, they were greatly astonished, saying, “Who then can be saved?” 26 But Jesus looked at them and said, “With man this is impossible, but with God all things are possible.” 27 Then Peter said in reply, “See, we have left everything and followed you. What then will we have?” 28 Jesus said to them, “Truly, I say to you, in the new world,[b] when the Son of Man will sit on his glorious throne, you who have followed me will also sit on twelve thrones, judging the twelve tribes of Israel. 29 And everyone who has left houses or brothers or sisters or father or mother or children or lands, for my name’s sake, will receive a hundredfold[c] and will inherit eternal life. 30 But many who are first will be last, and the last first. I also want to point out that while we Christians always say that we only have to believe in Jesus to be saved (and of course, our lives ought to reflect that belief), Jesus says right here that if you aren’t willing to give up your things, you shouldn’t expect to get into the Kingdom of Heaven. That means that basically everyone I know (including myself) isn’t going to heaven OR that this Kingdom of Heaven isn’t exactly the Eternal Jesus-ized Disneyland we’ve all been forming in our mind. What’s the deal with the eunuchs? Can someone explain the part about the children? Why were they brought to him at all and what did he do to them and why were the disciples mad about it? 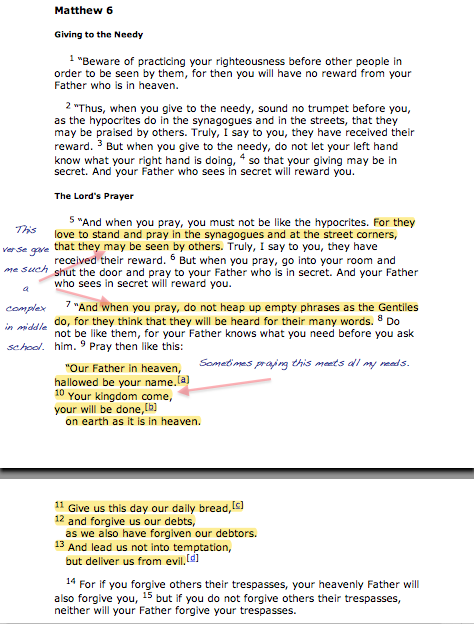 What did Jesus REALLY MEAN about “Kingdom of Heaven?” I don’t want the Sunday School answer. I want a cultural, historical, reasonable, logical answer. PLEASE!